Has your plastic cutting board seen better days? Learn how to remove stains from plastic cutting boards with hydrogen peroxide, baking soda, and dishwashing detergent. Easy, green cleaning tutorial. I have a white plastic cutting board that I use for cutting meat and poultry. 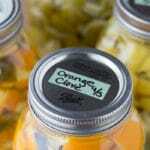 It's easy to store and can be popped into the dishwasher for easy clean-up and disinfection. 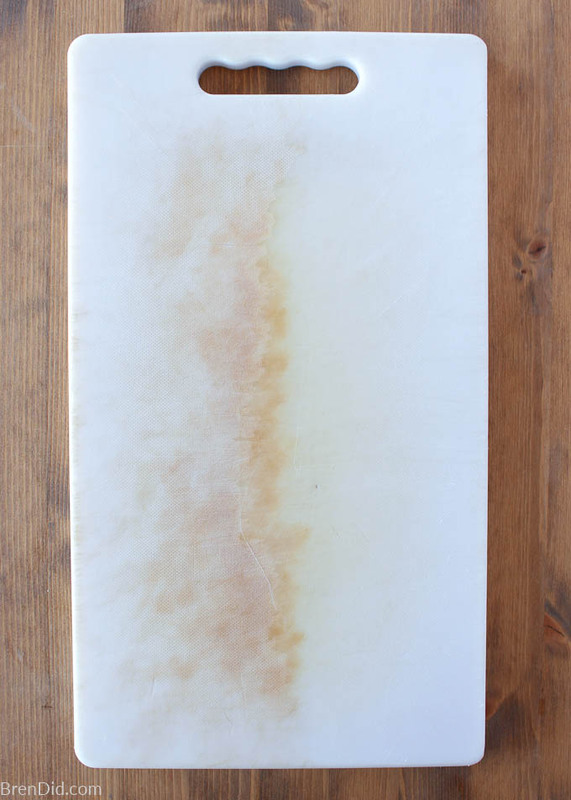 The downside to plastic cutting boards… they seem to become discolored or stained after just a few months (or weeks) of use. Oh, how I hate those icky brown stains that cannot be scrubbed away! 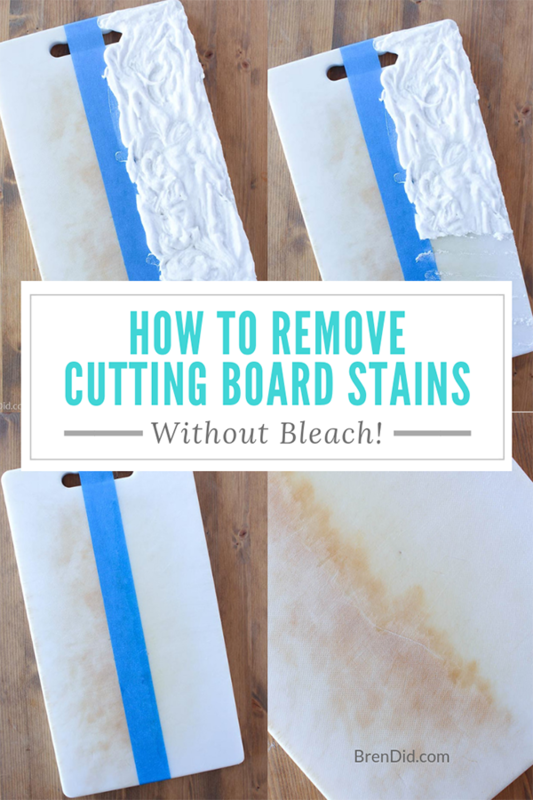 Luckily, I’ve discovered two easy ways to get stains off plastic cutting boards, no bleach needed! Baking soda, hydrogen peroxide, and dish detergent paste. Plain old 3% hydrogen peroxide will bleach away cutting board stains if given enough dwell time. Lay the cutting board in a sink. Spray or pour hydrogen peroxide over the cutting board until it is wet. Wash the cutting board with detergent and water, allow to dry. 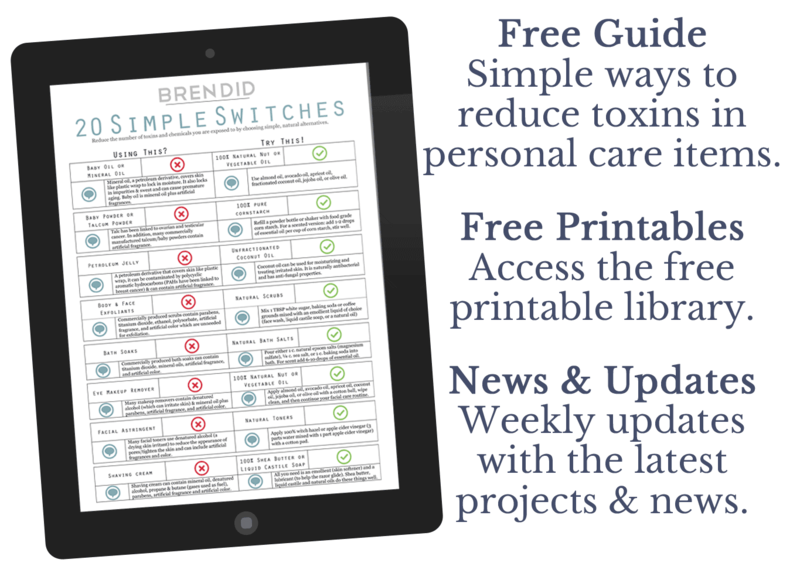 Why this method works: Hydrogen peroxide is a natural bleaching agent that brightens surfaces and kills bacteria. Giving the hydrogen peroxide several hours to work on the stain is key. Mixing hydrogen peroxide with dish detergent and hydrogen peroxide makes an easy to apply paste that bleaches away cutting board stains. 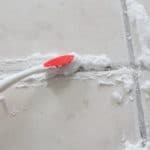 Make a paste from 3-4 tablespoons of baking soda, 1 tablespoon of dish detergent, and 1-2 tablespoons of hydrogen peroxide. The mixture should be easily spreadable but not soupy. Wipe or rub off the cleaner, wash the cutting board with detergent and water, and allow to dry. Hydrogen peroxide is an effective bleaching agent that bleaches stains, brightens surfaces, and kills bacteria. Dish soap cuts through any greasy residue left on the cutting board. The thick mixture keeps the cleaning agents in place on the cutting board long enough to remove the cutting board stains. Many people use bleach to clean plastic cutting boards. They choose bleach because it is good at removing stains and kills germs. Unfortunately, cleaning with bleach can damage your health and corrode surfaces. Bleach is a sodium hypochlorite solution which is dangerous to inhale, irritating to the skin & eyes, and toxic to consume. 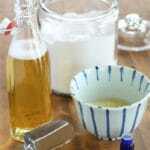 Bleach is a strong base with a pH of around 12. Because of its high pH bleach is corrosive to materials it touches, including plastic. 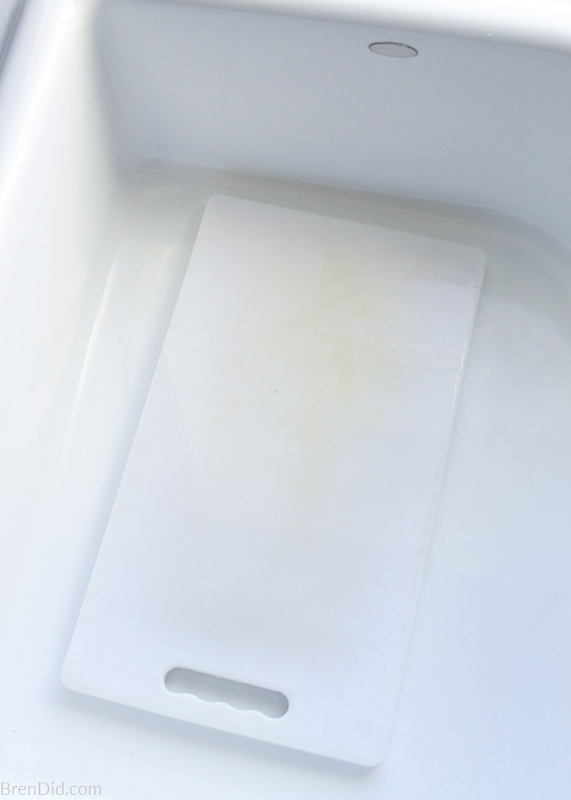 Luckily hydrogen peroxide can be used to remove plastic cutting board stains safely, without damage! Hydrogen peroxide is often called “oxygen bleach”. It is a great stain remover, surface brightener, and bacteria killer. Unlike chlorine bleach, hydrogen peroxide is not corrosive to surfaces and is non-toxic. After use, hydrogen peroxide naturally breaks down into oxygen and water. Run the cutting board through the dishwasher on the hottest setting. The heating element in the dishwasher heats the water above the temperature your skin can tolerate, killing more bacteria. Wash the cutting board with soap and water then wipe or spray the cutting board with white vinegar. Next wipe or spray the cutting board with hydrogen peroxide. Rinse clean. This one-two punch will naturally kill bacteria lingering on the cutting board. It works as well as bleach. Skip the bleach and store-bought cleaners for cutting board stains and try hydrogen peroxide. 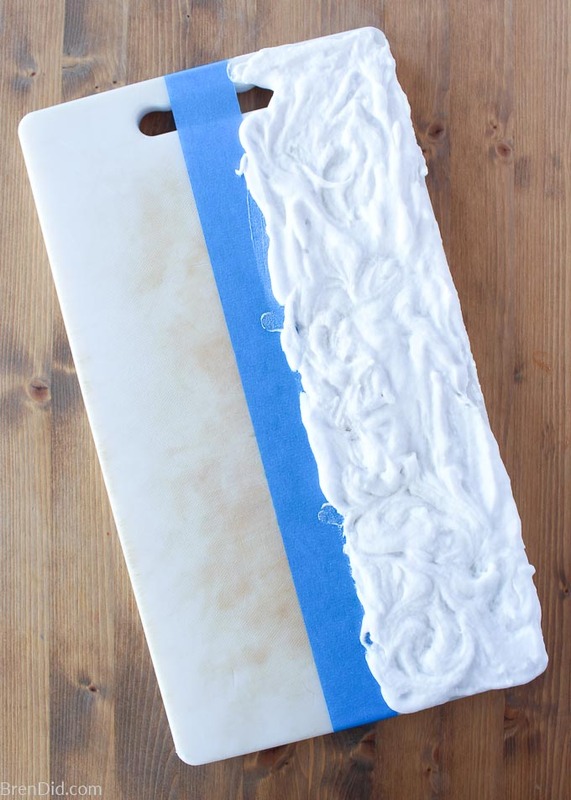 It’s an easy, green way to remove stains and keep your cutting boards looking great! 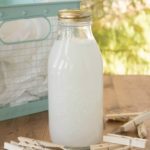 Like green cleaning tutorials? Sign up for my newsletter below and never miss a thing! Nice idea with the cleaning techniques. I think you should take more care with your claims though. The tagline “natural” is a bit false. Hydrogen peroxide is a man-made chemical compound. It technically falls under the category of bleaches. It can be toxic in food-grade doses which I think should be mentioned in this article. Most food grades doses aren’t sold over the counter. Used this on my badly stained dishwasher interior. What a godsend. Thank you. 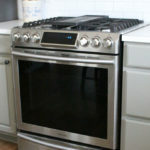 How does one clean the inside glass of an oven door. Do you have to take the door apart? In the pull out drawer at the bottom of the stove there is an opening. What can be used to get between the glass on the stove door?